Rod Stowe, New South Wales Fair Trading Commissioner, stresses the importance of avoiding contact with solar panels, or equipment powered by solar electricity, such as solar powered electric fences and gates, after a flood. He advises that following a flood, solar panels and other solar powered devices, including electric fences and gates, be thoroughly checked before turning them back on. If they are not checked, electric arcing caused by water immersion can go undetected, which can cause fires. Once they are deemed safe to use, solar powered electric fences and gates from Rural Fencing Supplies can benefit property owners in myriad different ways. 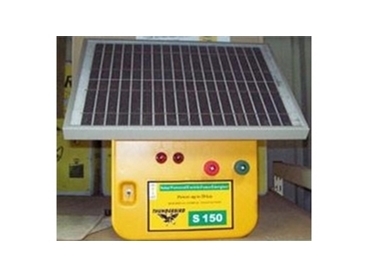 Solar powered electric fences can be custom made to suit properties of various different sizes. A range of solar powered gates are available with battery backup in the event that the solar power is exhausted, and they can be installed with the company’s solar powered electric fences. Solar powered electric fences and gates have the potential to reduce constantly rising electricity costs as properties utilise less electricity from the grid, and they are subsequently more environmentally friendly. The company offers both DIY and custom made automatic, solar powered gates that are simple to install and easy to use. Customers can choose to power the gates using either 12V mains transformers or a solar charged 12V battery, and they continue to store data after system power failures. This is perfect for those who prefer to power their electric fences and gates with electricity from the grid rather than solar power. In order to maximise the potential of solar powered electric fences and gates, and to guarantee your safety, ensure they are thoroughly checked and deemed safe to use following a flooding incident.